We all want that perfect body with just a touch of magic. Everybody wants to look beautiful and awesome with their bodies. But for this, you have to perform some good abs exercises to make your body muscular. Let’s read about some abs workout machines, there are many abs workout machines in the market, but I choose these best ab workout machines according to their rating and performance by several people. Well, the magic is possible but who do you think the magician is? That would be YOU. But the magic is not supposed to happen with just a snap of fingers. The real magic is to put efforts towards working on your abs, along with the magical workout machines. The secret to having that ideal body is to be sincere with your goal and when it comes to the machines, choose wisely. There are many products out there known as miracle workers when it comes to helping you shape and sculpt your abs. If you want to lose flab or want your six-pack to turn into an eight-pack, there are plenty of ab machines that work perfectly for both gym and home. Let’s have a look at these 10 best ab workout machines. Each of them with all the necessary details along with what people think about it and also, the right side and the wrong side of the equipment. There are different types of ab workout machines nowadays, but some are good and some are not fit for everyone. I put the Perfect fitness ab carver pro roller at 1st number this machine workout is perfect and provide a good angle for exercises. Below are some other abs workout machines you can read about each machine thoroughly. This product has been designed to provide powerful abs training for everyone from beginners to advanced users. 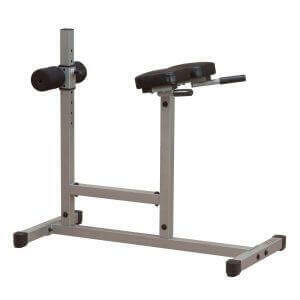 Perfect Fitness Ab Carver Pro will help you in strengthening muscles in the back, chest, arms, and core. 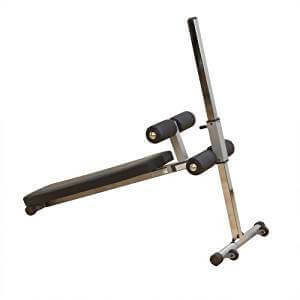 It uses a unique carbon steel spring mechanism that provides resistance as users roll out and assistance as they roll back, engaging muscles more thoroughly. It includes kneepads, a downloadable 21-day workout plan, and a 1-year manufacturer’s warranty. Most of the people claim to see differences within a week. If that’s not impressive than what is? The handles are very comfortable and easy to grip. It doesn’t damage the floor or carpet and is ideal as an abs exercise equipment for home. I like the wide base wheels. The knee pads are actually comfortable, though they look very thin. But the issue is that as you roll it back and forth, it won’t come back to you, so you must reset it. Also, the product is definitely too expensive. Ultra-wide ab roller with built-in resistance and ergonomic handles to help maximize results of ab roll-out exercises. The ultra-wide, spherical wheel allows users to carve left or right. Unique ergonomic padded handles are angled to help optimize engagement of arm and core muscles. Ergonomic hand grips are angled to activate arm and core muscles. The internal spring is tethered to the entire mechanism with a plastic cap, which is prone to damage. Some sellers tend to offer cheap knock-offs. Investigate the authenticity, the moment it arrives. It effectively works your muscles in the upper and lower abdominals. This is your ticket to a better body, in less time than it takes to go to the gym. It is made of sliding knee rest section with handlebars and metal frame. It is made for weight loss and gaining well shaped, toned body. Its power-packed abdominal and cardio exercise, all in one easy and fun motion. Includes workout DVD and 10-day nutritional plan. Some people are comfortable using this product but others are disappointed with its poor construction. Trainers and professionals also use this along with other products for better results. The Ab Circle Pro may give you a cardio stimulation, but it certainly doesn’t work your entire body. In addition, you will probably get a bigger cardio stimulation with running, rowing, or a lot of other cardio workouts. Friction-free track lets you pivot your body to work ab muscles. Challenges your upper, middle, and lower ABS and oblique’s. Three resistance levels; folds up for easy storage under a bed. Includes 3-minute express workout DVD and nutritional guide. There are many reports that the knee pads are far from comfortable and can even be painful. Has a weight limit so it’s not good for too heavy people. What we like about the Powerline Roman Chair/ Back Hyperextension is that it lets you train abs, back, glutes, and hams in complete comfort and safety. Your abs and lower back are crucial to your everyday activities, so you must keep them strong and tight to avoid painful injuries. Electrostatically applied powder coat finish. Adjustable to fit most users. Supports up to 250 pounds. Some people find the steel rods quite simple to adjust and can do so without assistance from anyone. 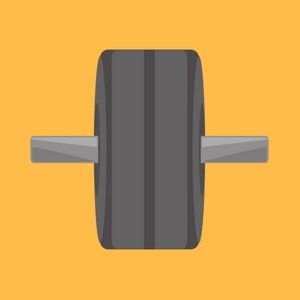 This Roman chair helps to keep them tight and strong while avoiding injuries. I think it is one of the best roman chairs and its dimensions are perfect to allow anyone who needs to work out with it. It is also very versatile and can give tangible results in the shortest time. Extra-wide base to eliminate rocking/wobbling. Adjustable footrests for various sizes and positions. The thigh pads are incapable of being rotated, causing pain and discomfort around the thighs. The instruction manual does not give out detailed instructions, and it’s been noted that a few hardware pieces were missing. Tone and sculpt your core muscles with this easy-to-use crunch tool. The sturdy, ergonomic design of the Ab Trainer will help eliminate back and neck strain that is often associated with crunches. Made of durable steel construction and ergonomic design. There is a cushioned headrest for support. Easy assembly and the best abs exercise equipment for home. People like this trainer for the extra neck support it provides during the crunch and the padded headrest for additional support to the upper torso region. It is designed to assist with at least four different workouts. If you suffer from frequent back or neck pains, this can be a fantastic option. Since it helps with stuff like sit-ups, this machine is good for your abs. Easy assembly and ideal for home use. Includes limited 30-day manufacturer’s warranty. Instructions to build aren’t that great. The cushion feels like it’s going to break off. This product is designed to allow users to target their abdomen from a variety of angles, and it offers twelve vertical height adjustments. Thanks to a support handle located at the feet, mounting and dismounting the bench at steep angles are made much easier. Built for comfort, the bench features ergonomically positioned leg rollers to reduce back strain, with contoured roller pads and a thick 2.5-inch high-density cushion. Almost every user likes the comfortability it offers. The handlebar is very helpful, it makes getting on or off the bench very easy. The bench is fairly simple to put together but the bad thing is the poor quality of the plastic parts. This product is very comfortable to use. It is neither too hard nor too soft. The ergonomics are good – one size fits all, the foam rollers are positioned comfortably for both adults and 10+ kids. The product looks and feels sturdy. Support handle makes mounting and dismounting safer. 5-inch cushioning ensures a comfortable workout. Capable of supporting up to 400 pounds of weight. Locking pin pops into place to prevent unwanted incline changes. 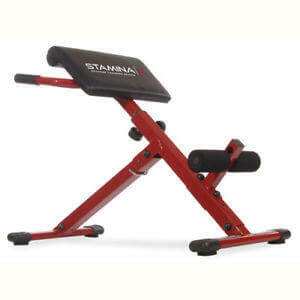 The Stamina X Hyper Bench gives you terrific core strength, ripped abs and powerful back muscles. Work your upper and middle abs with multiple crunch positions. The pull of a pin quickly and easily adjusts the angle of the bench to increase or decrease your workout intensity. 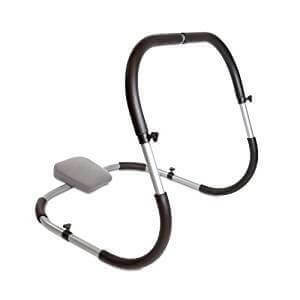 This Stamina equipment is sturdy and compact, made of lightweight steel that won’t bend or move as you exercise. It folds up easily for convenient storage under a bed or in a closet. If you could get an all-in-one machine that can give you a good ab workout without the compromise of space, you’d get the Stamina Hyper Bench. You can higher or lower the chair or footrests to make a move more challenging. But some users noted that the main pad is a little on the thin side, which can be supplemented with a folded towel. The best thing is that it enables you to do a variety of exercises. You can do crunches, hyperextensions, push-ups, and more thanks to the design of the Stamina Hyper Bench. It can work as a miracle exercise machine for the stomach. Also, its price is more affordable compared to similar exercise equipment. It comes with a non-slip and adjustable backrest and footrest and vinyl upholstery. To increase or decrease work intensity, it allows for easy adjustment of its angle. Use with or without dumbbells for ripped abs and a strong back. The pivoting foam rollers hold your ankles securely so your body is aligned in the correct workout position. It doesn’t come with an exercise guide. The safety pin that is used for fixing the pads is a bit loose. 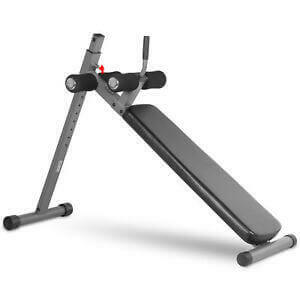 The Ab Coaster Black is the top of the line Ab Coaster six pack exercise machine for home use. It has smooth stainless steel rails, an exercise mat, and weights. It has a multi-angle adjustable seat to help you work your love handles and plate-loading posts to add extra weights for advanced users that want the most efficient six pack workout. People like the Ab Coaster for its work on abdominal muscles. By stabilizing the upper body, it helps to maintain the proper posture while performing the exercises. Though it occupies the floor space of a treadmill, the Ab Coaster Ultimate does provide extremely effective core training. 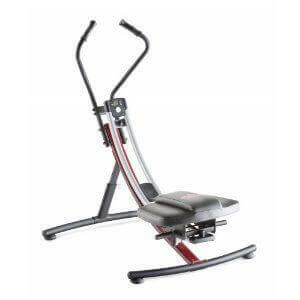 This product helps you focus on your fitness goal, it is one of the best ab machines at the gym. It’s a single machine that holds the capability to tone your entire midsection. Steel Bearings, Vinyl Covered Molded Foam Pads. Nylon Rollers, Free-Style Motion Seat. 300lb Weight Capacity, Digital Workout Counter, DVD and Meal Plan Included. You’re not going to get a full body work-out with this machine. Some people’s backs just don’t like this machine. It’s also heavy so it’s not something you are going to want to be moving around to get it out of the way. 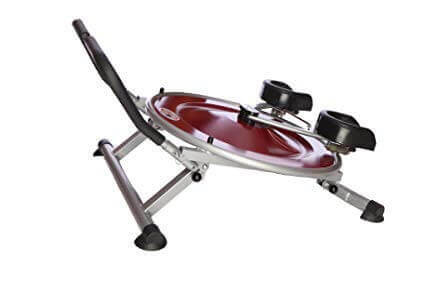 The Ab Rocket works like a real piece of gym equipment, with a back and head apparatus that comfortably supports your head and neck, along with a rolling cushion that gives you a gentle massage while you perform crunches. It is designed for all kinds of users, from beginners who have never worked on their abs before to pros who cannot go a day without stressing those core muscles to the point of exhaustion. Whether you want to tone your abdominals, strengthen your core or melt inches from your waistline, the Ab Rocket’s three levels of resistance are up to the task. Some claim to feel their ab muscles tightening after just one day of using Ab Rocket but many people are disappointed with it for causing back pain because of its poor material. Also, the handles wobble a great deal, and there is no way to tighten them. This product targets the abdomen region exclusively and helps stabilize the lower back without hurting your neck and back muscles. The bad thing is that it is too small for some people. Also, be sure to set the uppermost roller to support your neck, not the back of your head. Ab workout device for toning abdominal muscles or strengthening the core. Back and apparatus comfortably support your head and neck. Rolling cushion delivers gentle massage while you work out. Includes low-calorie meal plan and instructional DVD; folds for storage. Three resistance levels are not enough for those who avidly work on their bodies. It just does a single set of an exercise, which is never a good thing if you are trying to build muscle mass and burn fat. Construction is unreliable and if you are lucky your unit will last over six months of extended use. 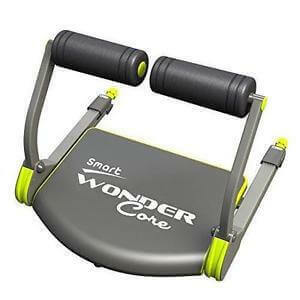 The Wonder Core Smart will put you on your way to a stronger core and shredded abs. Whether you are looking to strengthen for a sport or tone for bikini season, this item is sure to impress. The Wonder Core Max exercise system is designed to provide a laser focus on your upper, middle and lower abs and oblique muscles for a well-rounded workout you will feel all over. It is a fitness accessory that no athlete should be without. Its adjustable resistance also makes it a great choice for beginners to intermediate users. Having something small, portable, and can easily fit in your home, has made this a popular item among many individuals. It is very easy to use. There isn’t a whole lot of assembly, hassle or setup required. Just hop onto the machine and start doing your core exercises. But it isn’t a machine that should be replaced with going to the gym. Designed to target your entire core. Works by focusing on your upper, middle and lower abs. Best ab machine for home. Comes fully assembled, adjustable dual resistance. Exercise DVD & Fitness Guide Included. The workouts that it offers aren’t very effective at targeting the majority of your muscles. Exercises are a bit limited. Achieve a more slender figure, a smaller waistline, and better abdominal muscle tone in just minutes a day. Designed for today’s workouts, Body Solid machines feature innovative technology and distinctive styling that suits your home. Body Solid equipment meets the challenges of today’s busy lifestyle while providing you with the utmost in advanced home exercise. A lifetime manufacturer’s warranty covers all components of all machines; something you won’t find from any other manufacturer in the industry. This is a good, solid bench with high adjustability. 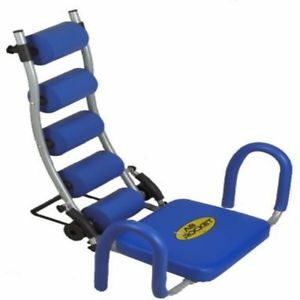 People are impressed with this product because it is very sturdy and offers many different positions for ab workouts. This is a well-constructed piece of equipment. It was quite simple to assemble, the padding of the board is substantial, and you can wheel it from room to room so there’s no excuse to not use it. Adjustable ab board for improving core stability and tightening up midsection. Sturdy 2-by-2-inch mainframe covered with thick, double-stitched Durafirm padding. 12 adjustable positions make it easy to design diverse, efficient workout routines. Oversized 8-inch foam rollers fit comfortably beneath knees and ankles. The bench is slightly too short.